Engaging with Nature offers us numerous opportunities for healing and deepened awareness of who we are, why we're here, and what we're being called to do at this time. Foraging and gathering plant medicines from Nature engages us on a physical level. As we move, we are gathering information, processing information through our neural network. When we combine this movement with thoughtful awareness and purpose to how we move and explore our bodies, we move toward unlocking deeper awareness within ourselves. The attention we place on our bodies as we move through Nature helps us entrain to our surroundings. That's where the true experience actually begins. Nature is our teacher, and our healer. As we move, she is continually feeding us information about our choices (past & present) and guiding us towards our inner light, or our capacity for self-healing and deeper awareness of who we are, where we come from, and why we are here. In this workshop, we'll explore the natural world through our senses and the natural movements of our bodies. We get close to the ground, move over and across rocks, logs, and earth. We take simple movements and break them down, slowly. We open ourselves to receiving information through our tactile senses, while taking notice of limitations in our bodies, and inspiration towards movement which comes from the earth, from Gaia herself. Our awareness of chi is another important aspect of these workshops. As we develop a feeling sense for the chi we can begin to utilize it more effectively in our movement, utilize it for healing, and expand our awareness beyond our physical bodies. Chi is a subtle energy yet it's power moves through all things, and can move all things. 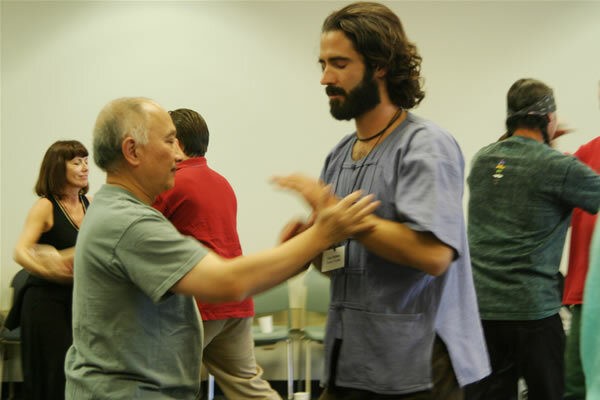 Chi cultivation and awareness is woven into all Movement in Nature workshops.